“Dance has an exceptional amount of potential in this time, that is so strongly marked by alienation from the body. To me, the greatest meaning of dance is within the primal wellsprings of movement and the body. The ritualistic essence of dance, a person’s need and ability to express themselves through movement and the body are universal and timeless phenomena. I have sought to familiarise myself with age-old dance cultures since the beginning of my career to enrich my knowledge gained from the heritage of ballet, modern techniques and contemporary dance. I also believe in multidisciplinary collaboration: a union of dance, live music and visual design. Creating works that feed various senses and outlast time, as well as building and maintaining a repertoire, are at the foundations of my Company’s activities and continuity. Humanity, internationality, a daringness to go beyond a comfort zone, and as a continuous strive to develop are some of the main principles in my artistic work, training as well as in all of the activities of our community. 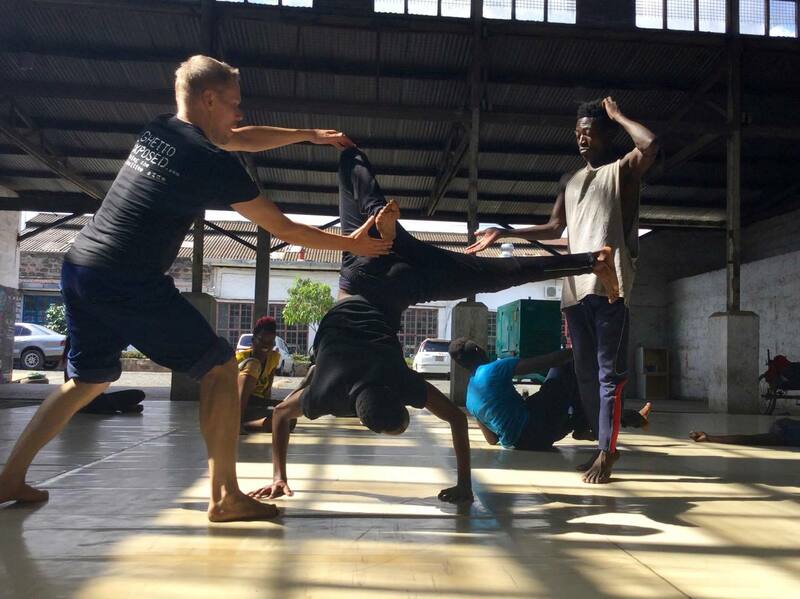 After a successful international career as a dancer, Tero Saarinen founds his own dance group. On top of Saarinen, the founding members are Yuval Pick and Henrikki Heikkilä. Company Toothpick’s debut creation Westward Ho! premieres at Stockholm’s Dansens Hus as part of the Bagnolet Choreography Competition. 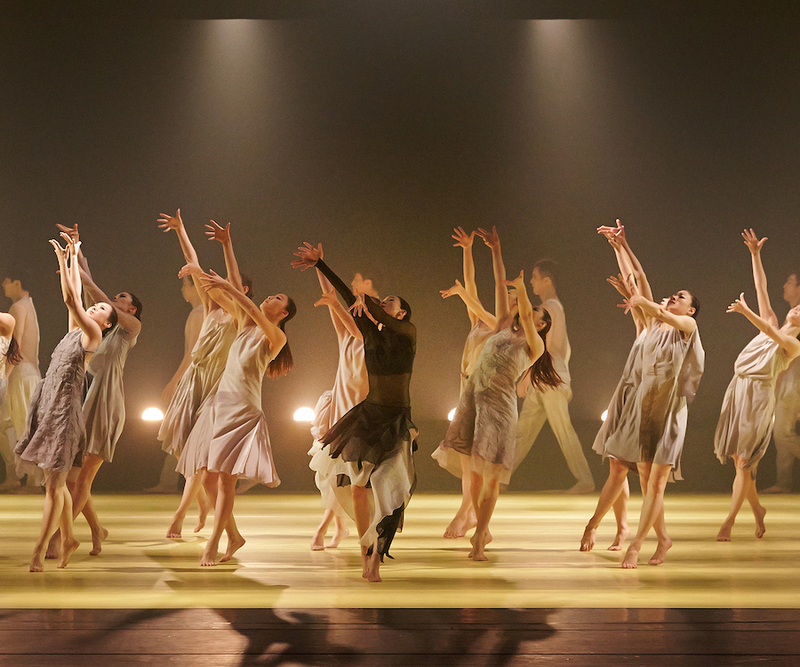 The work features lighting by Mikki Kunttu, a designer whom Saarinen met in 1993 when the pair worked on Dance Theatre MD’s commissioned creation Hurmaa 1. Westward Ho! is chosen for the first-ever Aerowaves programme in London. This results in invitations to perform around Europe. Batsheva Dance Company, led by Ohad Naharin, commissions its second work from Saarinen. Un/Do is also later seen in Ballet Gulbenkian’s repertoire. The Company performs Westward Ho! at Florence Gould Hall in New York. Could you take some of my weight…? premieres in France. This creation, performed by Saarinen and Yuval Pick, later forms part of the repertoires of Ballet de Lorraine in France and Norrdans in Sweden. 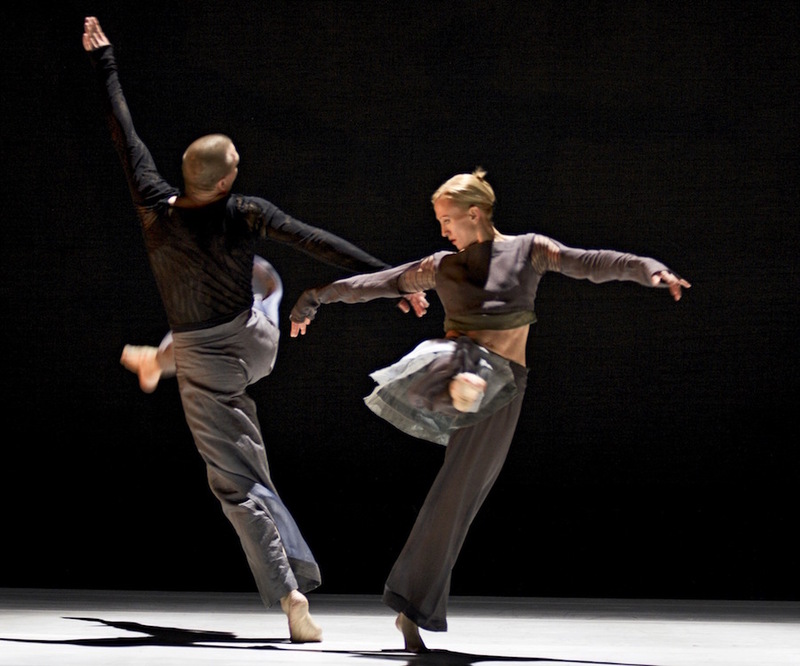 Wavelengths premieres at the Finnish National Ballet, performed by Nina Hyvärinen and Kimmo Sandell. The duet becomes known for its interpretation by Sini Länsivuori and Henrikki Heikkilä. Two key works premiere within a week: Kaze at the Venice Biennale and Petrushka at the Queen Elizabeth Hall, London. Producer-Manager Iiris Autio joins the Company as its first full-time employee. Tero Saarinen is awarded the Finland Prize. Commissioned by the Venice Biennale, Saarinen’s solo creation HUNT receives its world premiere. The ensemble piece Transfigured Night, set to music by Arnold Schönberg, premieres in the repertoire of Gothenburg Ballet in Sweden. It is later added to the Finnish National Ballet’s repertoire. Now known as Tero Saarinen Company, the group performs its Stravinsky Evening (Petrushka / HUNT) in St. Petersburg and Kaze in Moscow. The Company starts producing its own seasons at the Finnish National Opera’s Almi Hall with evenings of Westward Ho!, Gaspard and HUNT. Borrowed Light receives its world premiere at the Octobre en Normandie Festival in France. The creation, supported by EU funding, goes on to be performed around the world. Saarinen is awarded the prestigious Movimentos Dance Prize in Germany, and France honours him with the title of Chevalier de l’Ordre des Arts et des Lettres. Tero Saarinen Company is granted an annual Finnish government subsidy as one of the organizations that comes under the Theatre and Orchestra Act. Tero Saarinen Company leases the Main Stage at the Finnish National Opera to perform Kaze for audiences in its home city of Helsinki. Tero Saarinen is awarded the Pro Finlandia medal. 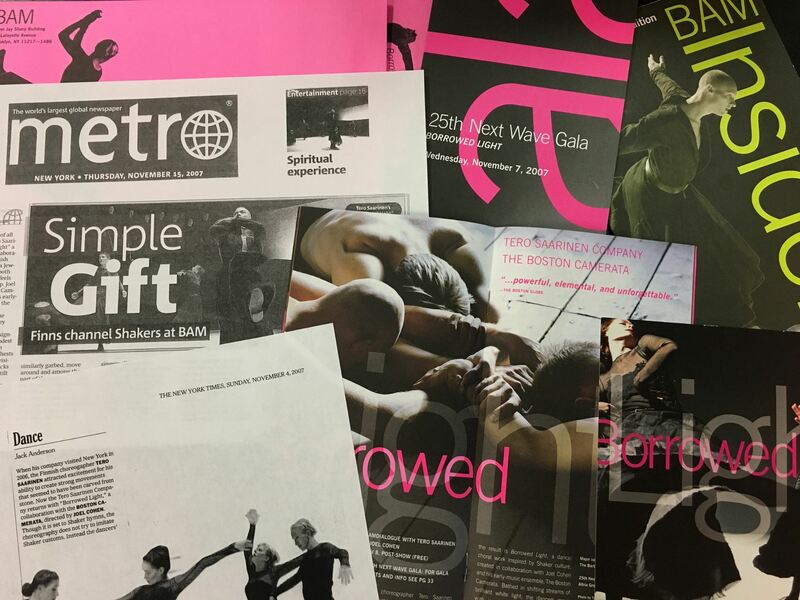 Tero Saarinen Company’s first North American tour. Six performances at The Joyce Theater in New York end the Triple Bill’s USA-Canada tour. Both Borrowed Light and Triple Bill are picked as highlights of the year in various reviews. The now 10-year-old group has six full-time employees and a network of 77 staff over the year. Borrowed Light opens the 25th anniversary celebrations at BAM’s Next Wave Festival. 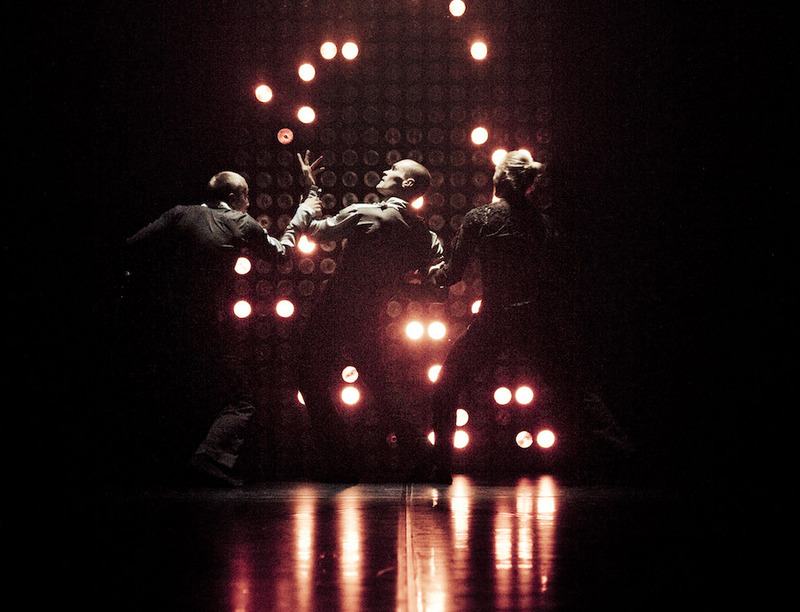 The creation is seen by more than 10,000 people, and The Village Voice picks it as one of the “decade’s best in dance”. The Company also visits Mexico City, where Teatro de la Ciudad almost bursts at the seams due to double booking by the organizers. In Finland, the group presents 12 performances of the Stravinsky Evening at the Alexander Theatre in Helsinki. Sini Länsivuori is awarded the Finland Prize. Borrowed Light tours Australia and New Zealand. Tero Saarinen Company opens the 100% Finlandia cultural year at Théâtre du Châtelet in Paris. The programme includes HUNT and Saarinen’s large-scale ensemble work for Opéra National de Lorraine and Ballet de Lorraine, Mariage. Carolyn Carlson gives her legendary solo Blue Lady to Tero Saarinen for reinterpretation. Over the next few years, Saarinen tours with the work in Europe and Asia. The Finnish Cultural Foundation gives Saarinen an award for his achievements as an artist. 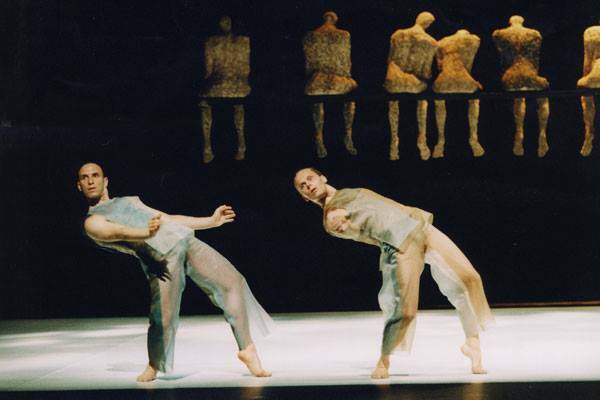 Saarinen’s second choreography for NDT1 premieres in The Netherlands. On top of tours in Central and Western Europe, Tero Saarinen Company also performs Norway and Argentina. Tero Saarinen Company produces a season of dance in Helsinki, presenting Blue Lady [Revisited] performed by Saarinen, plus productions by Carolyn Carlson’s group and Pori Dance Company’s interpretations of Jorma Uotinen’s choreographies. 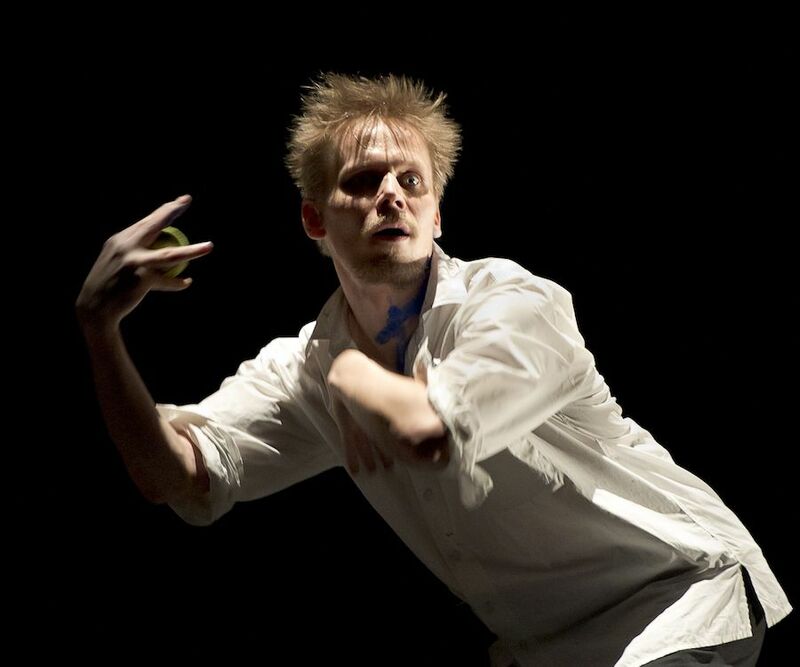 Tero Saarinen performs his solo Man in a Room on two nights at New York City Center. The group performs Triple Bill in the Ibero-American Theater Festival in Bogotá. Invited by choreographer Jin Xing, the Stravinsky Evening visits China as a part of the World Exhibition. Borrowed Light returns to Europe. The creation is seen in multiple cities in Belgium, The Netherlands, France, Germany and Finland. It is also performed on five nights on the Main Stage at the Finnish National Theatre in Helsinki. Vox Balaenae, a collaboration with Ensemble Intercontemporain, receives its world premiere in France. In Finland the work is performed together with the Avanti! chamber orchestra. Tero Saarinen Company’s first tour of Finland takes in the Jyväskylä, Oulu and Kuopio City Theatres. 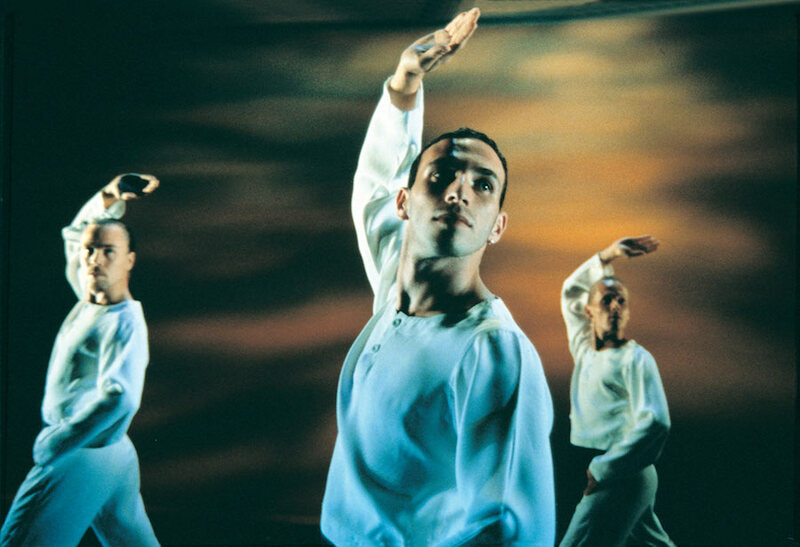 By popular demand, Borrowed Light returns to Jacob’s Pillow as part of the festival’s 80th anniversary programme. The Finnish National Opera and Ballet adds Saarinen’s Mariage to its repertoire. Tero Saarinen Company presents the Tanssin juhlaa! evening celebrations of dance in Helsinki to promote the Dance House Helsinki project. The Company’s first major community-outreach project begins in Malminkartano, Helsinki. During their tour of the United States, the group performs at the Kennedy Center, Washington DC, and at The Joyce Theater, New York City. Tero Saarinen is invited to teach at Steps on Broadway in New York. Tero Saarinen Company’s first development cooperation project in Kenya. In The Rite of Spring’s celebratory year, Saarinen performs his solo creation HUNT for the last time, in Nairobi, after touring with the work to 82 cities in 32 countries. The last performance of HUNT, on the Main Stage of the Finnish National Theatre in Helsinki, is filmed. The National Dance Company of Korea invites Tero Saarinen to be its first-ever guest choreographer. The large-scale creation VORTEX premieres at the Korean National Theatre. Season of Borrowed Light at Théâtre National de Chaillot in Paris. The performance is filmed for French television. The Company’s first film project, the documentary A Chair Fit for an Angel, premieres in Canada. It receives awards at various film festivals. 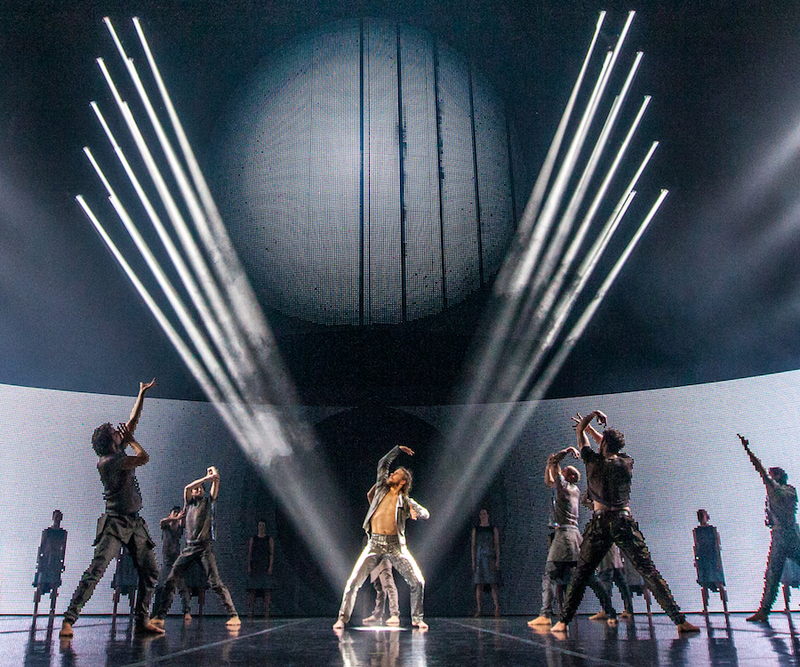 Morphed, a choreography set to the music of Esa-Pekka Salonen, premieres at the Helsinki Festival, on the Main Stage of the Finnish National Opera. The composer himself conducts the orchestra of the Finnish National Opera. The Finnish National Broadcasting Company YLE celebrates Tero Saarinen’s 50th birthday with a television theme evening that includes a biographical documentary, the film A Chair Fit for an Angel, and a film of Saarinen’s solo creation HUNT. Kullervo, a collaboration between the Finnish National Opera and Tero Saarinen Company, with almost a hundred performers on stage, receives its premiere. Tero Saarinen Company runs a large-scale development cooperation project in Kenya. TRAIL, choreographed for twelve Kenyan dancers, premieres in Nairobi on Kenya’s National Day. The Company appears in a total of 13 countries. The group’s performances in Helsinki attract nearly 20,000 spectators. The Company’s total income is EUR 1.24m, 40% of which comes from public subsidies. Tero Saarinen Company’s 20th anniversary year focuses on Finland, with performances at the country’s biggest dance festivals, in Kuopio, Pyhäjärvi and Jyväskylä. Saarinen’s early work Could you take some of my weight…? returns to the repertoire, together with the ensemble piece MESH. The Company produces a season at the Finnish National Opera’s Almi Hall. Presentation of international guest performances in Helsinki continues, with the Company producing three separate evenings. The year is a busy for educational activities: new courses are developed; Tero Saarinen is invited to teach at the Juilliard School in New York; and an ongoing collaboration with the Finnish National Ballet School begins. The Company now has 11 employees on monthly salaries. Morphed continues to mesmerize audiences around the world. The creation is seen in seven countries, with the highlights being TSC’s first-ever performance at London’s Royal Festival Hall and a month-long tour of North America. TSC also performs in India for the first time. In Helsinki, Kullervo makes its return to the Finnish National Opera and Ballet’s programme and TSC produces performances of Cie Accrorap’s The Roots to the Finnish National Theatre. 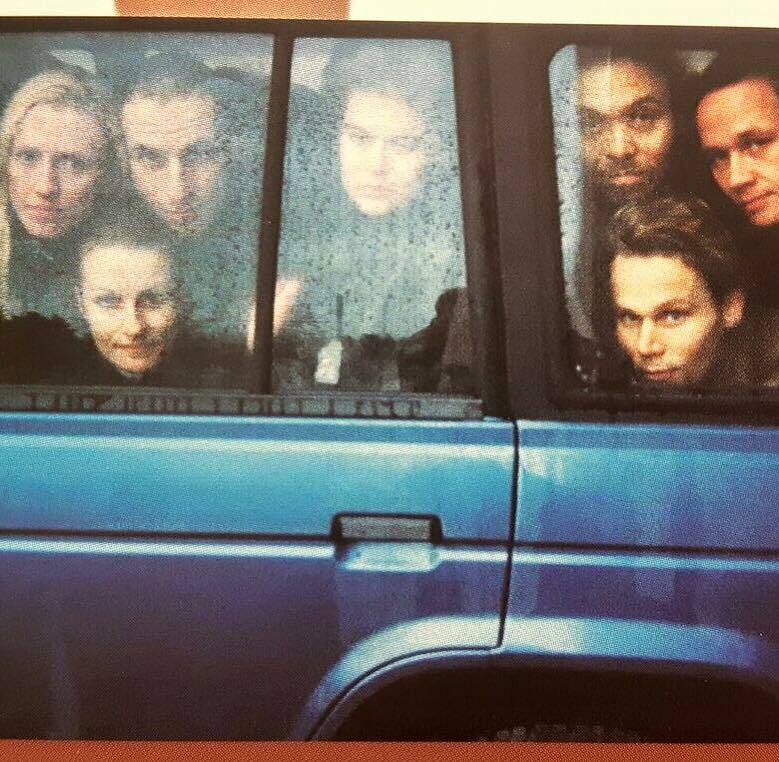 Co-productions Loopit with Dance Theatre MD and to be with Hanna Brotherus Company premiere. The Los Angeles Philharmonic commissions Zimmermann Trio from Saarinen, set to premiere in 2018. The rehearsals of Saarinen and Kimmo Pohjonen‘s duet Breath also begin.